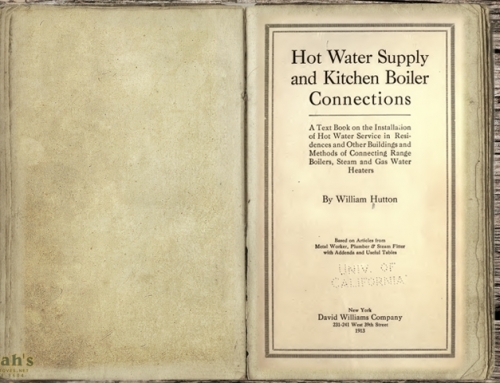 Boilers have a reputation: They’re messy, they burn dirty, and they’re something of a pain to maintain properly. That reputation, along with the flagrant abuse of their burning abilities by many users, led to a recent revision of national regulations by the Environmental Protection Agency, which we’ve covered extensively on this site here and here. And, in hindsight, it seems obvious that would happen sooner or later. Boilers in the U.S. are often marketed as “Gasification Boilers” which is essentially a codeword for “batch burner,” a style of boiler with European roots that are less than effective. We’ve talked about batch burners before, but here’s a refresher: All EPA gasification boilers require thermal batteries to store their BTUs. Basically, the BTUs are stored in a water tank and pulled out whenever your home calls for heat. This inevitably becomes a juggling act: If you don’t have enough BTUs stored when you fire the boiler, the water will boil and the pressure relief valve will open, dumping the BTUs so the tank doesn’t explode (which is good for your safety, but no so much for your warmth). If you’ve connected forced air or a radiator to your boiler, then the temperature needed to make heat has to be above 160 degrees. Since water boils at 212 degrees, most boiler users keep the water storage set to 200 degrees just to avoid triggering the pressure relief valve. This is wasteful. Think of the situation like this: You have deposited $200 in a bank account, but you’re only allowed to withdraw $40 from it. Period. The account always has to have $160 in it, but because you can’t touch that $160, it is essentially worthless to you. That’s the reality of European batch burners; because they do not idle and modulate like modern gas, oil, or electric boilers do, you are forced to maintain heat that you can’t even use. 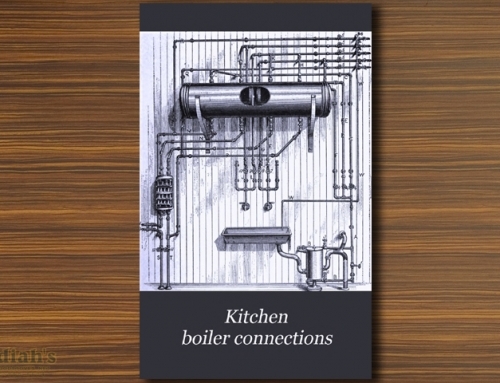 It’s a trade-off that you accept as a wood-fired boiler user, but… What if you didn’t have to? That’s where the WoodMaster CleanFire Boiler comes in. Obadiah’s has worked with WoodMaster in the past and we have always been impressed with their ability to stay on the cutting edge of technology, but the CleanFire really takes things to a new level. First, the issue of BTUs. While a batch boiler is constantly expending energy on heating, even if you’re not using it, the WoodMaster CleanFire wastes nothing. By modulating heat according to demand, the CleanFire can shut down when the load is not there and ramp up BTUs when they are needed, eliminating the requirement for thermal batteries altogether. This is the only wood-burning boiler in its class that has been able to make modulation work effectively, and it’s one of the many reasons we’re very excited about the CleanFire. 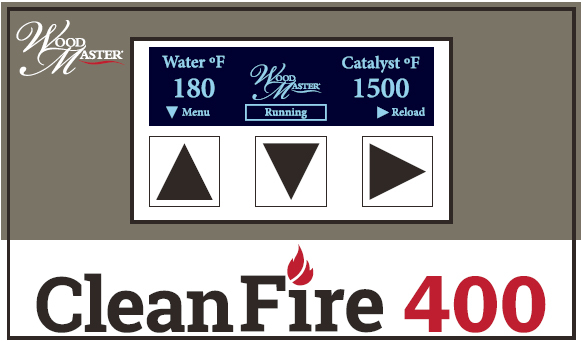 Like other WoodMaster products, the CleanFire’s combustion process uses a lambda sensor, which monitors the oxygen levels and adjusts the boiler to maintain an optimal burn. During the burn, gases leaving the combustion chamber are mixed with oxygen in an injection tube, ensuring complete combustion through the catalyst. WoodMaster has been designing boilers for years and, in our experience, they had the burn process down to an exact science before they even began working on the CleanFire. However, with this unit they have once again demonstrated their ability to make consistently outstanding units. The combustion process itself is made possible by WoodMaster’s unique control board. With over 300 settings used to maintain furnace modulation, you can easily burn at the optimum rate every single time without resorting to inefficient techniques like batch burning or quick cycling. Sensors built into the unit allow the control to read internal and external water temperatures, adjusting the boiler automatically to satisfy the heat load. You also never have to worry about overheating, as the board displays water and catalyst temperatures, 02 level, boiler pressure, and gives you a history of alarm details. Plus, the WoodMaster CleanFire is WiFi-ready, meaning you can monitor the system in home and even link it to your smartphone. That’s right: You no longer have to worry about leaving home and coming back to a surprise disaster, because with WoodMaster’s control board, you can stay updated no matter where you are. It’s a relatively small touch, but features like this really demonstrate the kind of forward-thinking that the wood boiler industry desperately needs more of. WoodMaster has also ensured the CleanFire is user-friendly to everyone, not just those with years of experience in using wood boilers. 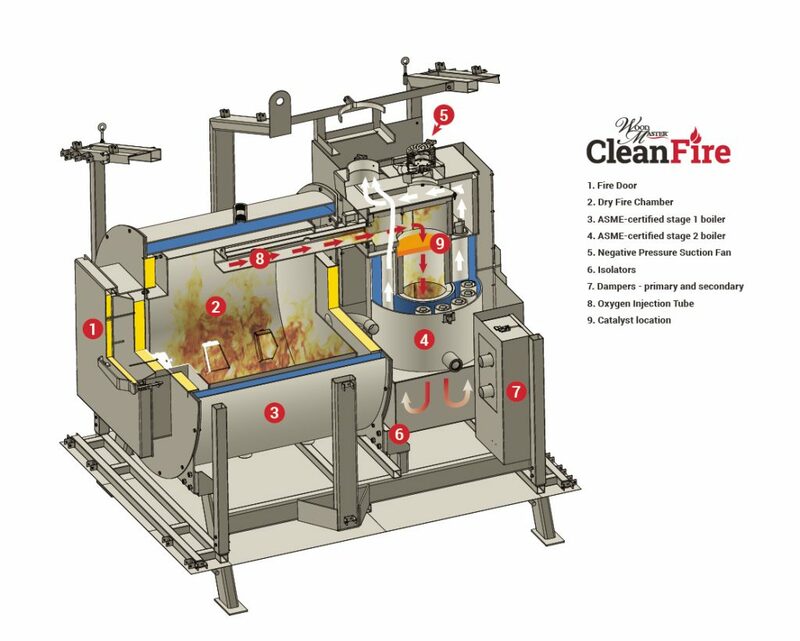 The CleanFire has no water storage or wet firebox; instead, it uses a dry fire chamber which is not in contact with water. This leads to several advantages including no creosote build-up, and no ash corrosion. Imagine, a heating unit where you don’t have to worry about expensive, decaying parts (without air, corrosion cannot take place) and one where you no longer have to put in a back-breaking effort every spring to get rid of the mess that builds up throughout the cold season. In fact, with the dry fire chamber, the CleanFire takes only a few minutes to clean. You can expect to clean the heat exchanger tubes twice a year and remove the ash from the bottom chamber as needed, but that’s it. Simple. If you take care of the WoodMaster CleanFire, it will take care of you. The pressure chamber is ASME-certified (it will be available commercially even in Massachusetts and New York!) meaning the materials and workmanship are of the highest quality, so you can expect a lifespan that is easily 40 to 50 years with proper maintenance. 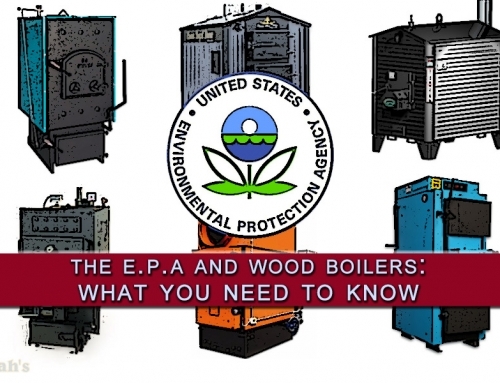 Since the boiler meets or exceeds all current and upcoming EPA regulations through the year 2020, you will actually be able to make full use of that lifespan without the government jumping down your throat in a few years when the regulations tighten even further. 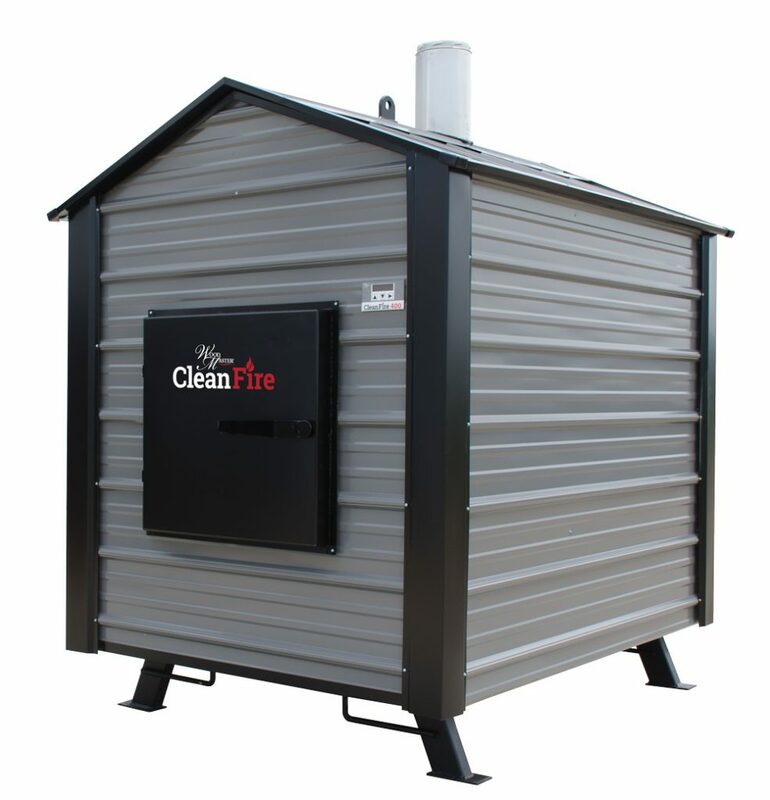 The CleanFire’s final retail price has yet to be announced, but make no mistake: It is built to be the last outdoor furnace you will ever need to buy. There are a number of other details about the CleanFire that make it stand out, including an autofill function so you never have to worry about low water, separate blow down valves for each vessel, programmable LED lighting, and important safety features such as a low water cutoff and high limit control. It’s also UL and ULC certified, which is a comforting official stamp on just how reliable the boiler really is. 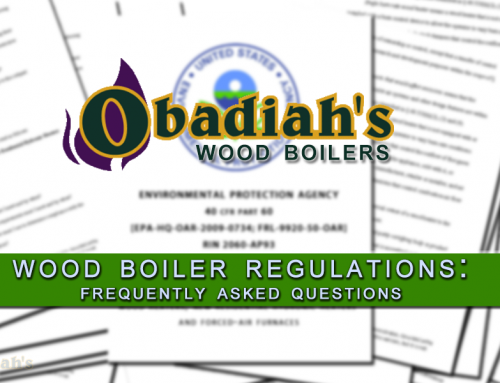 Obadiah’s and WoodMaster are both family-operated businesses, we care about our customers and work very hard to bring only the best heating products to the public. It’s been a slow process getting the CleanFire ready for the market, but once it is, Obadiah’s will initially be the exclusive online dealer. Our experience in engineering and hydronics allows us to do what other WoodMaster dealers currently cannot, and we could not be more excited about the opportunity. Hello! 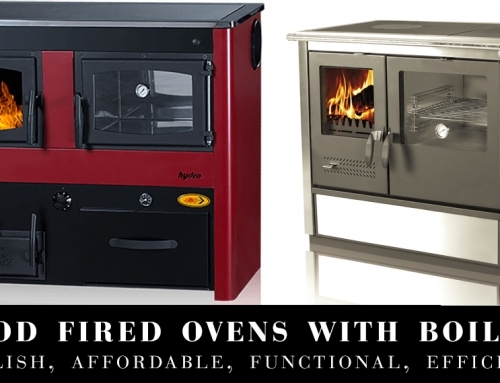 You can purchase the WoodMaster CleanFire through Obadiah’s Woodstoves & Alternative Energy. 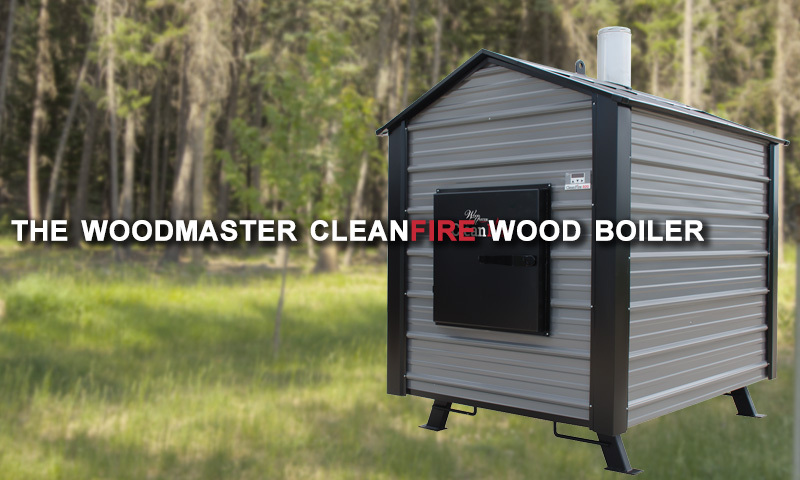 You can read more about the CleanFire on our product page here: https://woodstoves.net/woodmaster/woodmaster-cleanfire-epa-outdoor-wood-boiler.htm, and you can give us a call at 1-800-968-8604 (Mon. – Fri, 9 am – 5 pm MST) when you’d like to order. Hope this helps!